Overwatch is the youngest game from Blizzard Entertainment studio. Overwatch release date had in 2016 and from that time has already lots of awards. Today is the second anniversary of this game. Overwatch is the pride and joy of the developer’s team. The game has enormous eSports potential and it can be seen that Blizzard strongly promotes its FPS as the leader on the eSports market. Overwatch is already sponsored by T-Mobile, Toyota, and HP. Blizzard also signs with Twitch.TV the biggest deal in gaming history with over $90 million exclusives for the first two Overwatch League seasons. There’s a reason why Overwatch has still growing player base and has already hit 40 million players. 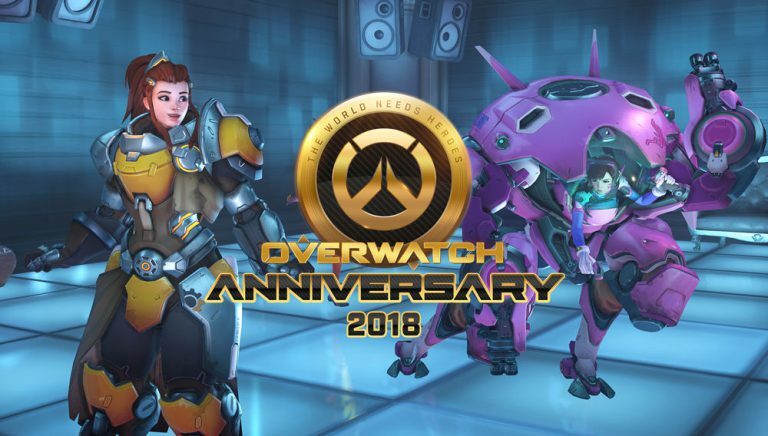 Along with the second anniversary, the developers decided to start with the second edition of Overwatch Anniversary event, during which players will have the opportunity to get new legendary skins, emotes and everything that was already in previous events like Summer Games, Halloween Terror or Winter Wonderland. Check Also: Why Overwatch isn't on Steam platform? Hundreds of hours in the game have helped me confirm that everyone will find something for themselves. If you like to relax and play for fun you can go into Quick Play or Arcade, but if you want to train your skill and feel a breath of competition Competitive mode is what you looking for. Of course, if you don’t want to play in a team you can just join Deathmatch and show your skill or test the craziest configurations in Custom Games. However, if you haven’t had the opportunity to play Overwatch you will have the opportunity this weekend. Blizzard is starting with Overwatch free weekend event, during which all players will be able to celebrate the second anniversary. Even if you do not have game earn the whole loot and progress your account. If you decide to stay with the game after a free weekend, you can buy Overwatch with discount and all skins from loot boxes and other cosmetics will stay with you for life.